Perfect for the ENTIRE family! 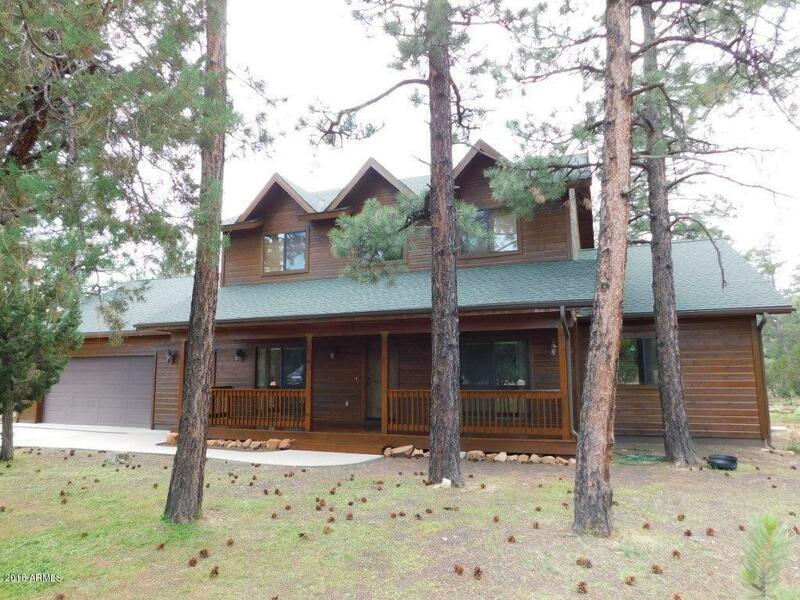 This cedar sided 4BR, 3.5BA home meets everyone's needs with a master bedroom downstairs, a master bedroom upstairs and 2 additional bedrooms with a Jack n Jill bathroom. There's even an office off the foyer, conveniently accessed from the master BR or use as a workout/sewing room, etc. The peeled pole staircase is striking as you enter the foyer and leads you into the greatroom with soaring vaulted T&G ceiling, plus a woodstove framed by the stacked floor to ceiling stone front. True cabin feel with pine interior doors, wood stain trim, freshly painted interior and brand new carpet. The kitchen has knotty oak cabinets, 2 pantries, S/S appliances, granite countertops, breakfast nook and a formal dining room for holiday get togethers or gather on the spacious decks overlooking a tree studded homesite. Perfect for year round use with central gas heat & A/C, central vac w/sweep plates, concrete pad outside the garage and oversized 2 car garage has a 3rd door for drive-thru ease, in a site built homes only subdivision with county maintained paved roads and underground utilities. Must see and sure to please! Square footage differs from county records and Navajo County Building Dept. shows 2,981 livable SF under permit #35334. Seller holds an inactive real estate license in the state of Arizona.